My father has memory issues and had developed a wound on his heel. Jan Cole is one of the APRNs that had seen my father. She is very caring and acknowledgeable in treating my father. I feel so at ease when she is treating my dad. Medical Assistant Sara Mahan went out of her way to help my dad. The transportation service was late in getting my father to his appointment. I saw Sara leaving for the day and asked her is anyone was left in the office to take care of my dad? 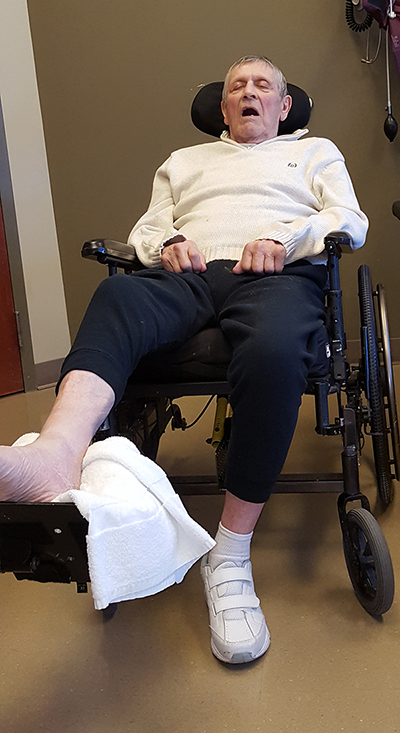 When my father arrived Sara helped me by pushing him in his wheelchair to his appointment. This allowed me time to get the paperwork from the driver. Sara stayed and helped get my father ready for his appointment. Sara went above and beyond to help.